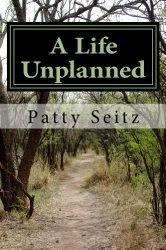 A Life Unplanned is a beautiful tribute to the life of an extraordinary woman. We don't often appreciate what our mothers sacrificed for us and Patty's reminiscing and recollections are a good reminder. This book made me cry. This is a true story which made the author's words real and all the more painful - especially if you've also lost someone that you love. Patty gives words to the pain that we feel and shows us how we can rise above it. Losing a mother is so painful, but we shouldn't dwell only on the loss. Instead, we should celebrate and be thankful for the brief and wonderful moments that we shared with the ones we love. That's the book's message. The memories linger, and there we can visit those we loved and lost.